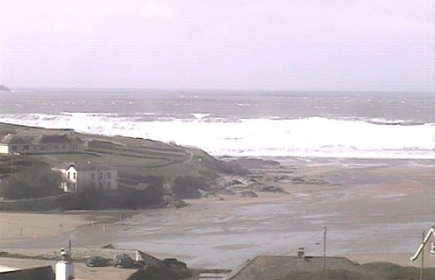 The Polzeath Webcam is of a static type and is updated regulaly throughout the day. The Hotel is privately owned and is ideally positioned for the exploration of Polzeath's beaches, cliffs and surrounding countryside. Polzeath is on the North Cornwall Coast just up from Rock and opposite Padstow. The area is very popular in the summer with visitors and second home owners.